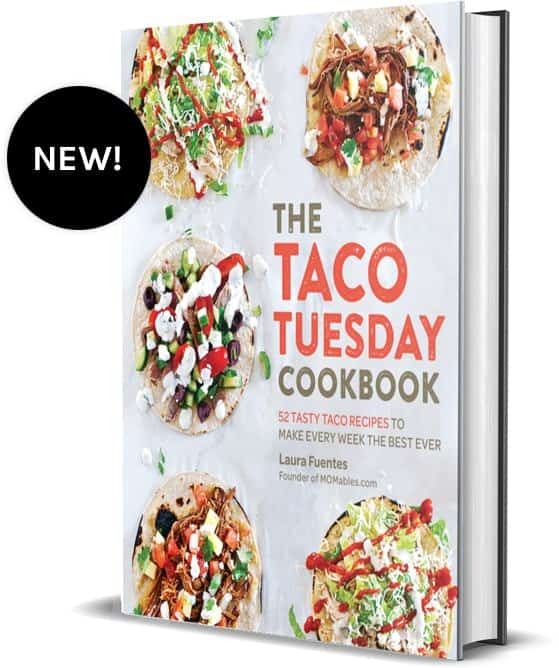 Easy Homemade Nachos Recipe: Revamp Taco Tuesday! 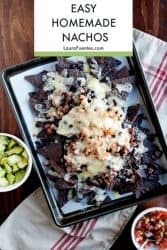 Easy Homemade Nachos Recipe: Revamp Taco Tuesday! 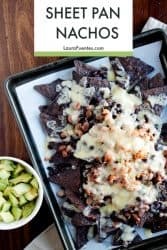 These easy homemade nachos are often a lifesaver when I want to put together a meal that will make everyone happy and I need to utilize leftovers from the fridge. It’s also great for many Saturday nights, when I’m just trying to use up the last few tidbits of leftovers from the week. 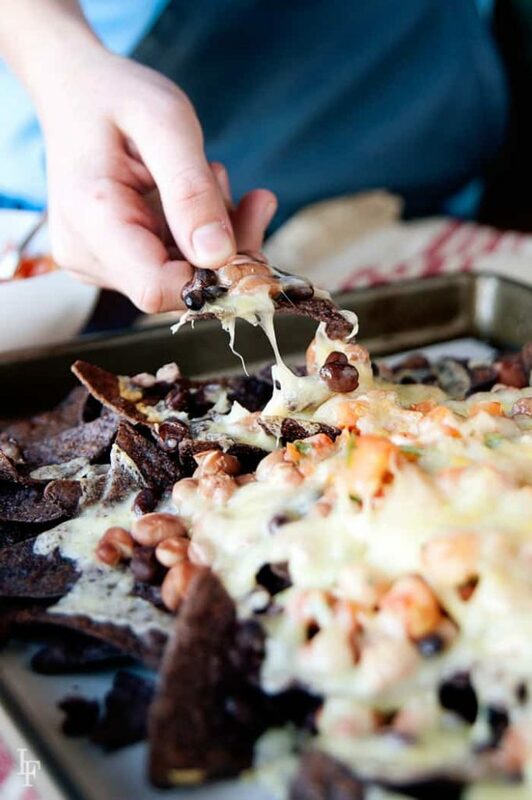 These aren’t stadium nachos, made up of fake cheese and stale chips. Although, if you want a replacement for the fake block cheese, I should tell you that I’ve already recreated a homemade-real-ingredient-version of velveeta here. These nachos are the real deal. 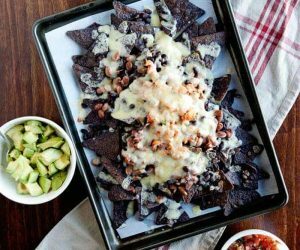 To make these nacho trays you’ll need a few cookie sheets -about one cookie sheet for every two people. Just cut the parchment paper in half so you can transfer the paper to each person after it’s been grilled. The cheese, although delicious, is almost an afterthought. The exact recipe doesn’t matter as much as the process. 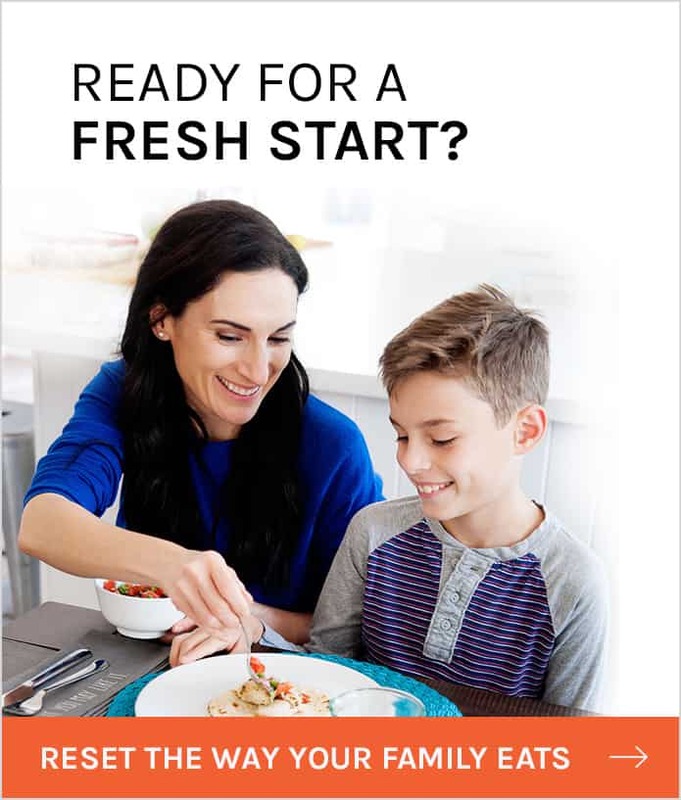 I’m currently trying to adjust my kitchen routine to a new school year. What I mean by this, is that our after school activities have changed days and now I am staying out later picking up kids from swimming or gymnastics on different days. Last year, we had breakfast night on Thursdays, when now we’ve moved it to Wednesdays. The last thing I want to do is whip up dinner at 7pm with hungry and cranky kids. Back to these nachos. 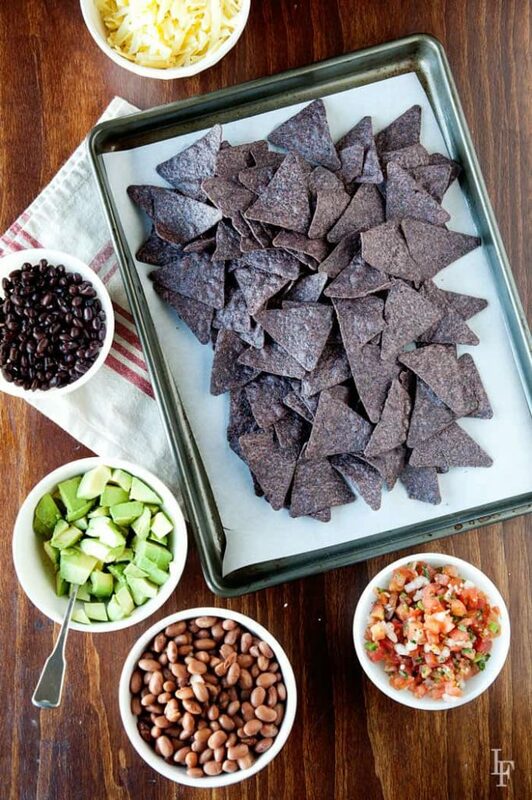 I use a particular brand of blue corn chips because they have minimal ingredients and they use non GMO corn. Everyone seems to love them so it’s a win win. 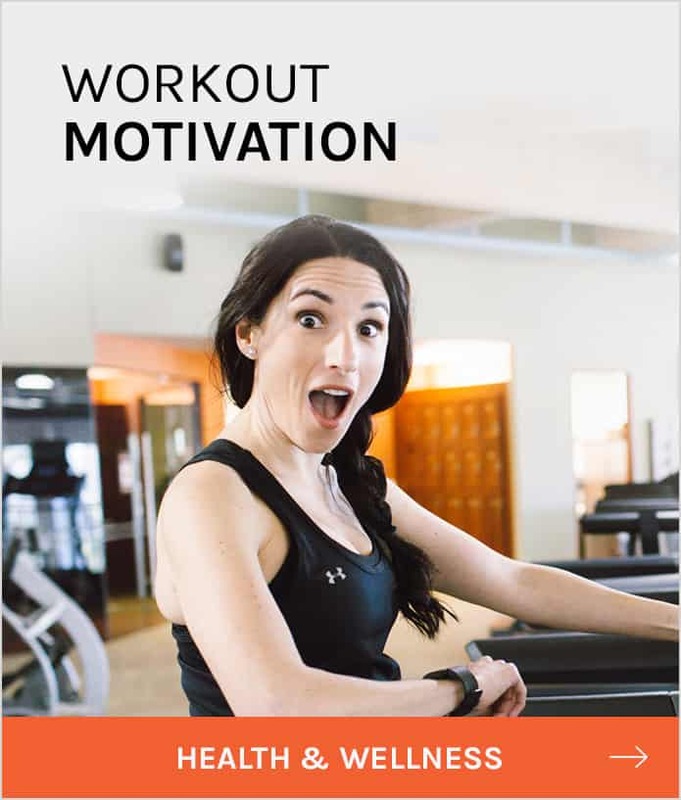 Of course, the brand you purchase it’s up to you! 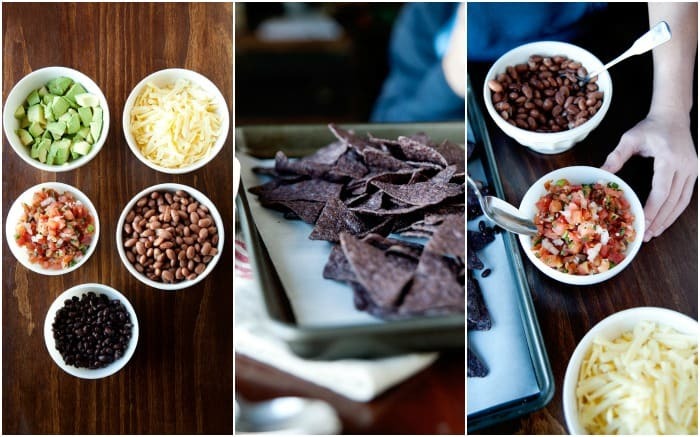 If you have time, you can make your own chips with leftover corn tortillas from taco night! 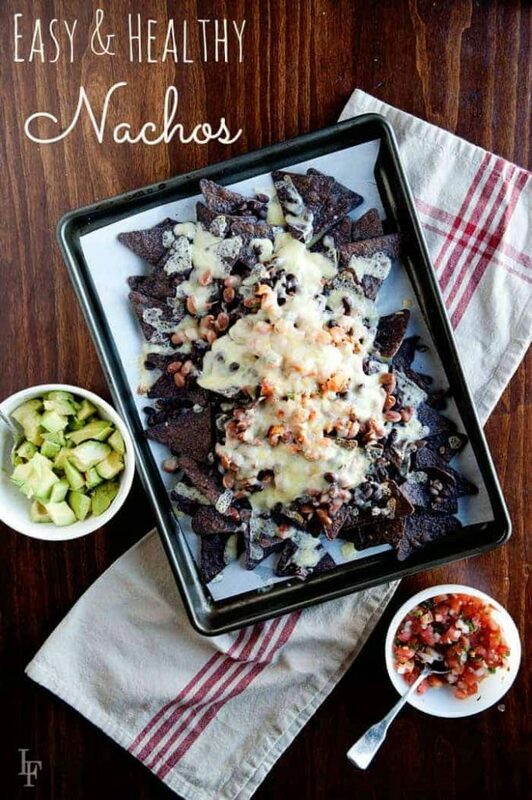 Watch this short video to see how easy it is to create a “Nacho Night” at your house. Last time I made these I chopped up the last of the rotisserie chicken for the kids, Gabriel had his with leftover garlic shrimp from the night before, and Eric and I made our own huge tray with whatever else we could find! I have to say, that my favorite thing to add is a big scoop of my easy guacamole. 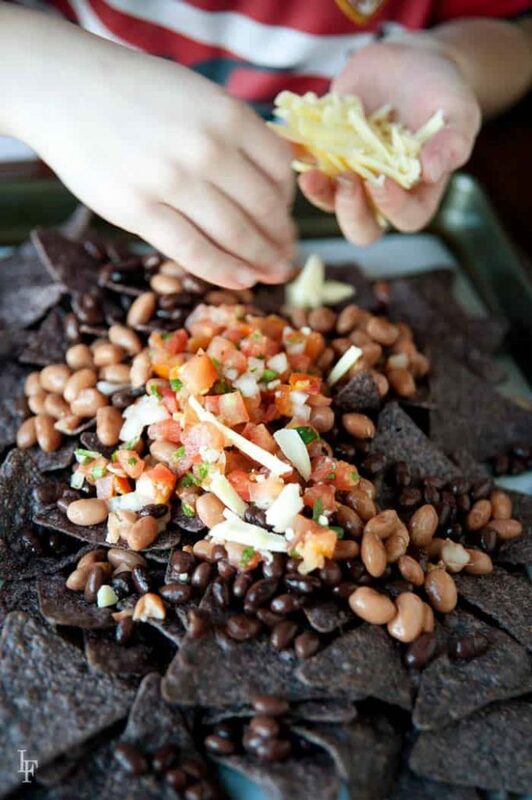 If you are wondering how I make this grain free for me, I sometimes make “naked nachos” or, without the chips. Here and there, I splurge and have a few, since this particular brand I tolerate well. What’s not to love about melty cheese over a crunchy chip? 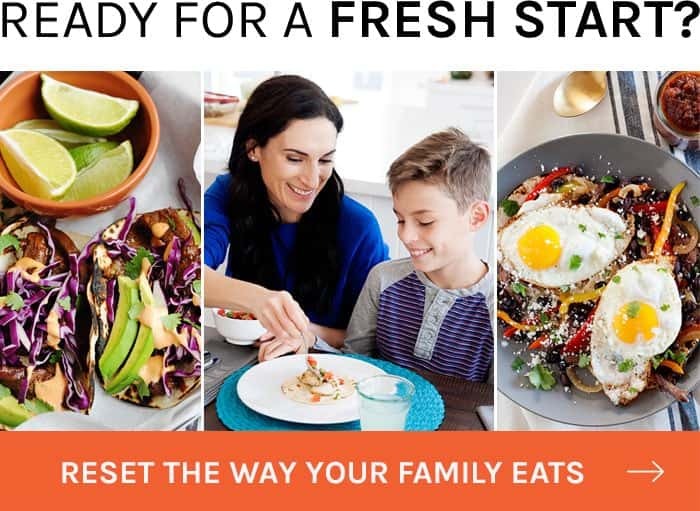 If you are looking for more easy meals made with real food try my free weekly meal plan here. Place your oven rack in the middle of the oven and turn your oven on Broil – High. Divide chips among the 4-6 servings. Top the chips with your protein of choice, pico de gallo, and all the other toppings you like. Top with shredded cheese. Place one cookie sheet inside the oven for approximately 3 minutes, while watching the cheese melt. Once the cheese is melted and everything has been heated, remove from oven before chips burn. Repeat process with the next nacho trays. Carefully remove each half of the parchment paper onto a large plate and serve. Top with additional salsa, guacamole, and sour cream (optional). You can use your favorite tortillas for this recipe. The type of protein and toppings you choose is up to you and what you have available. I made these last night, and they were a big hit with my husband. It was so good, he said that it couldn’t possibly be healthy for us! I will definitely add this into my easy, weeknight dinner line-up. I did end up feeding the kids something different, but they ate the baked chicken I used to make the nachos with, and some leftover mashed potatoes and some mixed veggies that I had to heat up for them. All in all – a very successful evening and stress-free evening. Thanks for the great recipe and ideas! I’d love to know the brand of blue corn chips you found that worked well. We rarely buy chips of any kind so I’d like to try and make it a “win” when we do. 🙂 This recipe looks easy, fun and yummy! Sandra, these are the Fresh Market Brand. However, I also buy the 365 Whole Foods brand. Have fun making these nacho trays! What a simple yet super delicious recipe!!! We had the nacho trAys last night and was a huge hit. My favorite part aside from almost no work and great taste was the fact that I could serve everybody thei own little paper tray, and there was no cleanup either! I said it before and say it again, you are a genius! I’m so happy this worked out well Hilda! 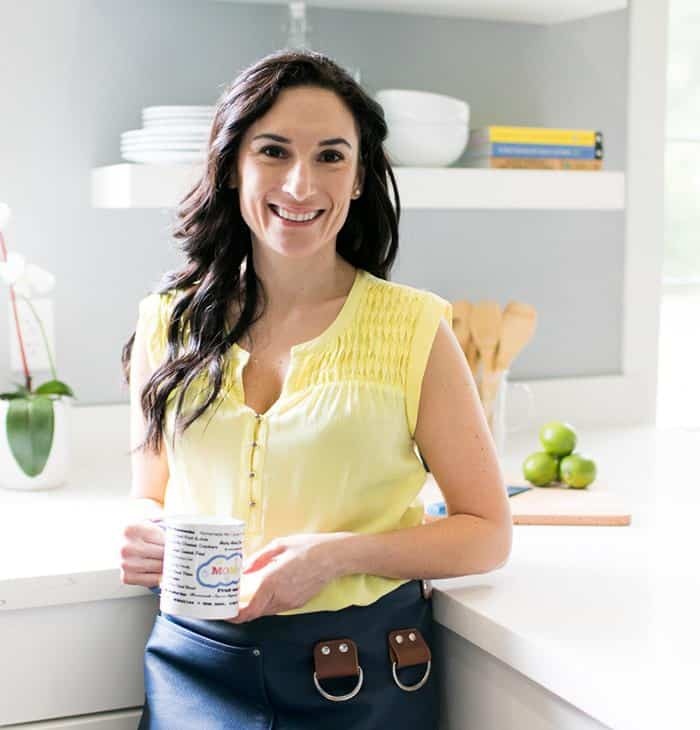 I’m so excited you have one more fun recipe to add to your family’s rotation! gems to help you finally take pleasure in the game without having to invest fortunes in the chests.